Unlike other calculators, the Touch ’N Slide Calculator visually displays the underlying mathematics giving users a visual and kinesthetic sense of what the arithmetic means. 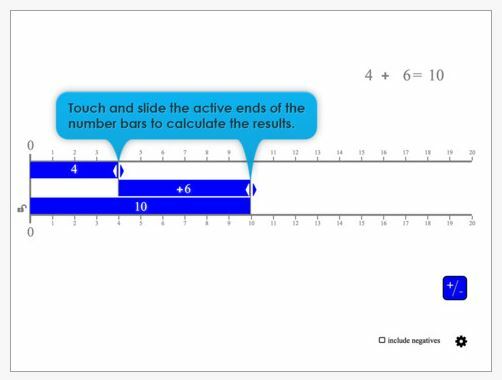 Created for iPad (Free), this app features an interactive calculator of addition and subtraction concepts with option to extend number line to negative numbers as appropriate for student skill level. 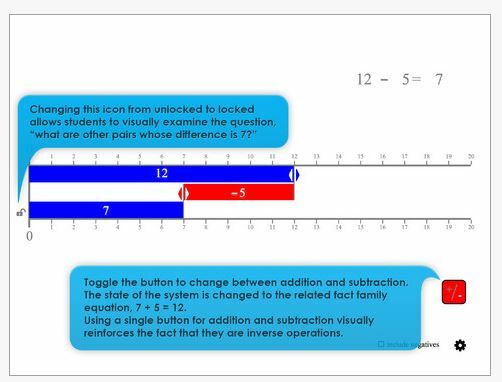 A visual and tactile method of interacting with math facts for students supporting common core math standards in operations and algebraic thinking. Pass this along to special education teachers, parents as another method of math practice. This entry was posted in Apps for Special Needs, Autism, Education, Elementary School, iPad, Math and tagged App Review, iPad, math. Bookmark the permalink.